You and I would make good cart buddies. Dam what a great Dawg hook, from the wrong side! Doubt that's the actual flight. I would think the ball traveled less into the fairway than that. 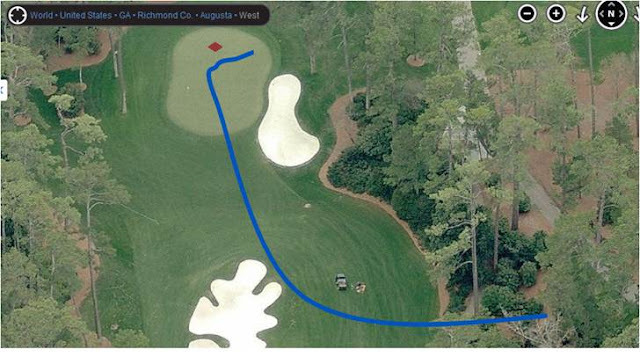 An absolutely unreal shot but not likely that steep an angle. No, but I think the point of it is to show the shot from a different view than we got to see on tv. Like you said, absolutely unreal. broke his nose! He just crushed his face!"